Do you want to help people to find your videos by properly indexing them in search engines, precisely Google? Videos are always considered as the most popular way of gaining some hasty success. Something you might desire to enhance your Videos for search engines by doing a bit of on-page optimization so that they can rank as well as they can. If you love to try new things, then you should give try Schema.org Markup For Videos because it does helps you to rank your videos well in the Search results. Therefore, today in this article, we will show you How to Do Video SEO in Blogger with Schema.org Markup For Videos? What is Schema.org Markup For Videos? We want people to find and discover useful videos on the web and you can also your videos by properly indexing them in Google. Indexing your videos will allow Google to display them in the search results in web search for relevant queries. This makes it easier for the users to discover your videos and watch them on your site. People will also be able to discover your video through the video search. It requires a Title, a description and a thumbnail image of your each video. Once Google has indexed your site with proper markup, your video will be shown on the search results. Following are the few properties that are essential to make the markup work properly. We have skipped few properties so that it does not creates any confusion in your minds. name Required In this property, you will write the title of your video. description Required Here you will write the description of your video. duration Recommended The duration of the video on the basis of ISO 8601 format. uploadDate Recommended The date on which you uploaded the video. height Optional You can change the height of the player but make sure it is in pixels. width Optional You can adjust the Width of the player according to the needs or layout of your site. Make sure it is in pixels. We hope that this article has helped you in learning How to Do Video SEO in Blogger with Schema.org Markup For Videos. However, if you face any kind of problem or difficulty, then do let us know. We would love to solve your problem on-the-spot. 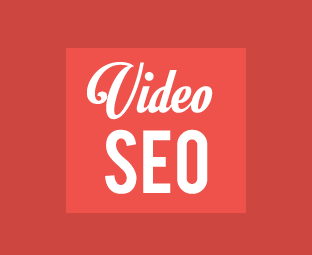 Do you have any tip regarding Video SEO for Blogger? Share your thoughts with us. "your videos are kept private and will not be included in Google Video search"
then why do seo for videos ? Nope, if you will tag it as private only then it will not be shown on search results. But how can i tag it as public ? there is no option for that. Are you upload videos on your Blogger blog? Try using Youtube.com you can Tag them as Public or private depending on you. Great Article.Can you carify couple of things? 1. What is content URL? 2. What part of youtube embed URL should I put in Markup html? 3. Do I still add youtube ember code after Markup html? 1. Exact location of the Video where it is hosted. Like a Full View Videoplayer.